The children at Montessori Stepping Stones were very excited to see their school's story on the blog (click here for the story). Their teacher, Michelle Daley, encourages fundraising ideas to emerge from her students. "Children are so compassionate. ", reflects Michelle. She tells us about their latest idea. "The elementary students came up with a cute way to collect our change. 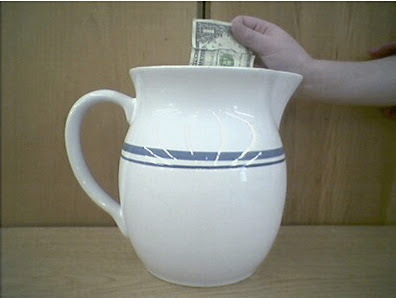 They have decided to use a large water pitcher! It's a great reminder of why we are doing this."